diwali sweets recipes | easy diwali dessert recipes with detailed photo and video recipes. 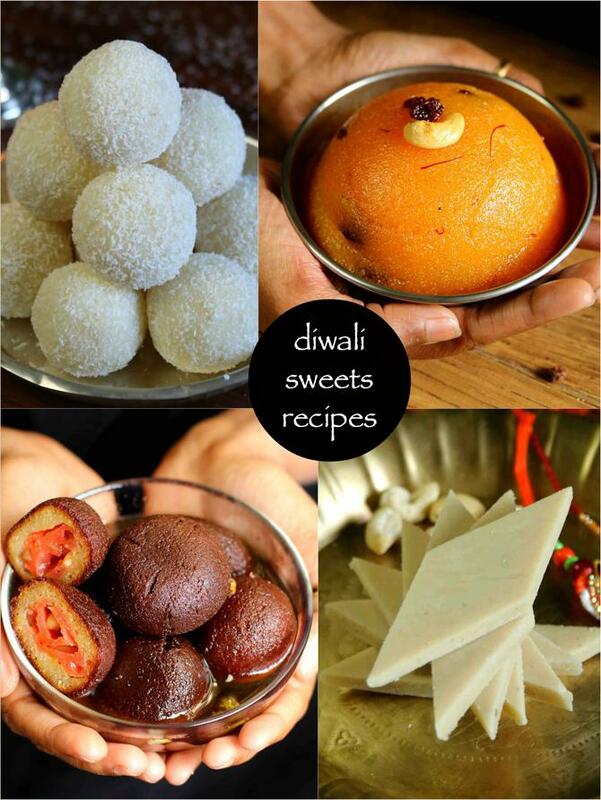 basically, a recipe collection post specifically for diwali sweets and diwali desert recipes. these sweets recipes for diwali can also be shared with family and friends. diwali sweets recipes | easy diwali dessert recipes with step by step photo and video recipes. diwali celebration / deepavali celebration is incomplete without sweets prepared especially during the diwali festival occasions. well some prefer to prepare these sweets well ahead in advance. and some prefer to prepare on the diwali day. in this post i have tried to collect most of the sweets and dessert recipes which is very popular during diwali celebrations. having said that, this list is not complete yet and will continue to grow. while most of the indian festival is incomplete without the indian sweets. however, diwali is very special and unique for most of the indians. it becomes very special as in this festival we usually share sweets between our friends, family and even neighbour. traditionally, diwali celebrations were mainly focused with dessert recipes like kheer, gulab jamun and rasgulla. however, these days diwali sweets recipes include popular for dry sweets recipes too. perhaps, it is much easier compared to diwali dessert recipes to share with friends and families. furthermore, there is a common myth about diwali sweets recipes. most of them believe that diwali sweets has to be fancy and decorative. well i would completely disagree and you can equally enjoy with simple and homely sweet recipes. for example, i have posted kaju katli or kaju roll recipe, but i have not used edible silver foil (varq) for these sweets. even without it, it tastes great and looks amazing. i agree it adds the glitter and makes your sweet more presentable. but at the end of the day i believe in taste and healthy sweets to be shared with your family and friends. in conclusion, i request you to visit my other diwali recipes collection which includes snacks and main course for diwali. in addition to diwali sweets recipe check my other collection of recipes like indian rice recipes collection and indian curry recipes collection. this section has the collection of indian sweet recipes from north india and south india. each recipes opens in a new window and it would have detailed step by step photo and video recipe. moong dal pitha recipe | mug daler bhaja pithe | bengali muger puli with step by step photo and video recipe. bengali cuisine is known for its desserts or sweets it has to offer. predominantly, the sweets are derived from milk and or chenna based sweet dipped in sugar syrup and dry nuts. but this recipe is a unique and made from moong dal or mug daler and is known as moong dal pitha recipe. chashni wali gujiya | chasni gujiya | mawa gujiya dipped in sugar syrup with step by step photo and video recipe. gujiya recipes are common across india and are made for different reasons. as matter of fact it is made with different stuffings too and each stuffings has its own purpose and rationale. this recipe is dedicated to mawa or khoya stuffing dipped in sugar syrup known as chashni wali gujiya recipe. kaju katli recipe | kaju barfi recipe | kaju burfi recipe with step by step photo and video recipe. kaju katli is one of the popular indian dessert recipe. kaju burfi is made up of cashew nuts and sugar syrup which is than topped with cardamom powder and ghee. pista badam barfi recipe | pista badam burfi | badam pista barfi with step by step photo and video recipe. the barfi recipes are usually easy to prepare but this recipe of pista badam barfi is exceptionally easy. the combination of almonds and pistachio's gels perfectly together to form a rich and flavored dry fruit fudge. moreover these burfi's can be prepared within minutes and can be stored for months. peanut ladoo recipe | groundnut laddu | shengdana ladoo | shenga unde with step by step photo and video recipe. peanuts or groundnuts are heavily used in indian cuisine, particularly in western india. it is often used to make curries, chutney or even in some deep fried snack recipes. but this is a unique peanut ladoo recipe made with just 2 main ingredients, i.e groundnuts and melted jaggery. mango kulfi recipe | easy no cook mango kulfi recipe with milkmaid with step by step photo and video recipe. an ideal indian dessert recipe prepared with mango slices, milkmaid and fresh cream. traditionally mango kulfi is prepared by evaporated milk or thick milk which is prepared by boiling the milk till it reduces to half. however this recipe is cutdown version with milkmaid, mango slices and fresh cream. falooda recipe | royal falooda recipe | falooda ice cream recipe with step by step photo and video recipe. basically, royal falooda is a popular cold desert served with vermicelli, sabja seeds, rose milk and other dry fruits like badam, cashews, pista and tutti fruiti. in addition, it is also popularly served with a scoop of vanilla ice cream. probably, falooda ice cream recipe is the queen of all indian street foods especially during summer or dry season. balushahi recipe | badusha recipe | badusha sweet or badhusha sweet with step by step photo and video recipe. the recipe begins with preparing a hard dough from all purpose flour with ghee and baking soda. later the dough is shaped into a small flat balls followed by deep frying in clarified butter. finally it is dipped in a thick sugar syrup to form a crystal sugar coating. rava kesari recipe | kesari bath recipe | kesari recipe with step by step photo and video recipe. it is a simple sweet recipe prepared with basic ingredients like semolina, sugar and ghee. it is topped with dry fruits like chopped cashews, almonds and some raisins which gives a nice crunchy effect to it. it is also prepared with milk which is known as sheera or rava sheera and it is offered as nivedyam. sabudana kheer recipe | sabakki paysa recipe | sago payasam recipe with step by step photo and video recipe. kheer is an easy and tasty dessert recipe from indian subcontinent, and sago kheer is prepared especially during fasting festivals. hence it is prepared during navaratri festival fasting and even during shivaratri fasting festival too. sabakki payasam can be prepared with manu ways, but this recipe is a simple milk based kheer without saffron. shrikhand recipe | kesar pista shrikhand recipe | easy shrikhand recipe with step by step photo and video recipe. basically in western indian sweet desert recipe prepared from strained curd powdered sugar. it is also mixed with mango pulp or mango juice which is also populalry known as 'amrakhand recipe'. typically it is served as a dessert after full course meal, but certainly can be consumed at any time. pineapple sheera recipe | pineapple suji sheera recipe | pineapple kesari with step by step photo and video recipe. kids loves the sheera with chunks of pineapple. it is also popularly called as suji halwa, sajjige halwa, kesari, kesaribath, pudding or ravakesari. banana rasayana recipe | balehannu rasayana recipe with step by step photo recipe. banana rasayana is one of the authentic desert recipe coming directly from udupi or mangalore region. this is a simple recipe prepared from diced banana with coconut milk and jaggery. this desert recipe is prepared in most of the south canara houses during special occasions like nagara panchami or ganesh chaturthi. besan ladoo recipe | besan ke ladoo | besan laddu recipe with step by step photo and video recipe. besan ka ladoo is prepared by roasting besan flour with ghee till it turns to golden brown with a nice aroma. then powdered sugar is added with mix of dry fruits and then shaped into round balls. it is typically prepared in indian festivals, family functions or events. mysore pak recipe | easy homemade mysore pak recipe with step by step photo and video recipe. an authentic recipe and perhaps a jewel in the crown of mysore is usually prepared during any festive occasion. this sweet dessert originated from mysore and hence the name. it is made from generous amount of ghee and sugar syrup which makes this recipe unique. nankhatai recipe | nan khatai biscuits recipe | indian cookies recipe with step by step photo and video recipe. this simple cookie recipe is a fusion recipe from of dutch and persian to indian taste bud. even the name is a fusion of two words, with naan from persian language which means bread. and kkatai from afgan language which means biscuit. it is typically eaten as evening snacks, but has evolved to become popular diwali recipes too. ash gourd halwa recipe | kashi halwa or kushmanda halwa | dumroot halwa with step by step photo and video recipe. udupi cuisine or udupi hotels are generally popular for its savory snacks and morning breakfast recipes. it is clearly visible in most of the udupi hotels which is popular across all over india. but there are certain sweets recipes native to udupi and one such sweet is kashi halwa or ash gourd halwa. gulab jamun recipe | gulab jamun with milk powder recipe with step by step photo and video recipe. gulab jamoon is dessert recipe prepared from milk solids which is then dipped in hot sugar syrup. traditionally, it is prepared from milk khoya, however there are several other easy variations as well. one such variations is preparing with easily available milk powder. gulab jamun can also be prepared khoya and with instant gulab jamun mix too. coconut barfi recipe with milkmaid | tri colour coconut burfi or nariyal barfi with step by step photo and video recipe. coconut based desserts are very common in south india and are mainly prepared for celebrations and occasions. but the coconut burfi recipe is perhaps the most popular sweet recipe from coconut and can be seen having fusion with other sweets. even this tri colour nariyal barfi is a themed recipe with three different colors to celebrate indian republic day or independence day. custard ice cream recipe | custard popsicle recipe | custard candy with step by step photo and video recipe. typically the popscile are made from the fruit extract or fruit juice which makes them hard after freezing. moreover it is fruit juice is mixed with fruit slices which makes them extra attractive and tasty. however these can be easily termed as custard ice cream rather than just custard popsicle due to its preparation and creaminess. zarda recipe | meethe chawal recipe | zarda rice | zarda pulao | sweet rice with step by step photo and video recipe. this dish has its origin from the persian, where zard means bright yellow color. however the recipe has been hugely embraced within the indian subcontinent region and is prepared for the special occasions. the recipe is also quite popular in pakistan and has several variations to it local pakistani cuisine. this section has the collection of indian diwali snacks recipes. each recipes opens in a new window and it would have detailed step by step photo and video recipe. cheese dabeli recipe | kacchi cheese dabeli with dabeli masala with step by step photo and video recipe. traditionally dabeli is prepared by stuffing sweet, savory and spicy potato based stuffing to pav or bread and spiced with green chutney and garlic red chutney. the composition is very similar to mumbai vada pav but has different unique taste of its own. after the stuffing, the pav is grilled with butter and tossed with fine sev before serving. sabudana vada recipe | sago vada recipe | sabakki vada recipe with step by step photo and video recipe. it is also known as sago vada, sagubiyyam vadalu, javvarisi vadai across india. it is usually, served during fasting and festival season across india. sago vada, is a crunchy, tasty and spongy vada which will fill your stomach. but you will certainly crave for more and more with some spicy green chutney. onion samosa recipe | irani samosa recipe | patti samosa recipe with step by step photo and video recipe. perhaps one of the most common crispy samosa recipes easily available in college canteens, railway stations and even in parks. moreover, it is also popularly known as irani samosa recipe. it is because it is sold in irani tea shops and irani cafe's. dahi ke kabab recipe | dahi kabab recipe | dahi ke kebab recipe with step by step photo and video recipe. basically a north indian or a punjabi cuisine delicacy which is ideal for party snack or perhaps as a side dish for any main course meal. apart from curd and crumbled paneer, mixed herbs, dry fruits, onions are added to the kebab dough. later it is shaped to patties which is coated with corn flour and deep fried. peanut masala recipe | masala groundnut | besan masala peanuts with step by step photo and video recipe. peanuts have many use cases and can be used in myriad ways one a day to day basis, which include curries, chutneys and snack. moreover peanuts or groundnuts are very essential in many cuisines and are used as base for marathi or gujarati cuisine. peanut masala recipe is one such recipe which is a popular tea time snack common across many cuisine. bread dhokla recipe | instant bread dhokla | quick & easy bread dhoklas with step by step photo and video recipe. basically a quick and cheat version to the traditional popular gujarati cuisine khaman dhokla recipe. in other words, it is a combination of instant rava dhoka recipe with instant khaman dhokla recipe. these dhoklas can be easily served as a party snack or for your next pot luck party. instant chakli recipe | instant chakkuli recipe | instant murukku recipe with step by step photo and video recipe. chakli are also called as chakuli / chakri/ chakkuli / jantikalu / muruku / chakali / chakri / chakralu in india. spicy shankarpali recipe | khara shankarpali recipe | spicy shakarpara recipe with step by step photo and video recipe. shankarpara is a tasty indian snack from north kanrnataka, maharashtra and gujarat, which is especially prepared during festival seasons of diwali. kids are most attracted to this snack, as most commonly it is cut in a diamond shape. roasted cashew nuts recipe | roasted kaju | roasted cashews 2 ways with step by step photo and video recipe. there are multiple ways the cashews can be roasted and served as snack. apart from the basic roasted cashews and besan coated one, it can be honey roasted, rosemary roasted, sugar syrup roasted and sweet & spicy roasted. in addition to it, the cashews can also be oven roasted without any oil to make it complete healthy snack. potato chips recipe | homemade potato chips | potato wafers recipe with step by step photo and video recipe. this is a basic potato chips recipe which is flavored with pepper and some salt. before frying, the thin slices of potato, it is soaked in water to remove excess starch. later it is deep fried in oil till it turn out golden crisp in colour. aloo tikki recipe | aloo patties recipe | crispy potato patties with step by step photo and video recipe. potato tikki is an ideal party snack recipe which also can be prepared easily. it is usually served as starters or appetizers with green chutney or yogurt mint chutney. moreover, aloo tikki can easily be extended to potato patties chat recipe or even aloo tikki burger recipe. there are several variations to potato patties recipe. however, today i will be sharing a simple aloo patties recipe. hotel style goli baje recipe | restaurant style mangalore bajji or mangalore bonda recipe with step by step photo and video recipe. udupi cuisine is famous for its sambar, breakfast recipes and dosa's, but it is incomplete without mentioning goli baje recipe. moreover according to trip advisor it is a 'must try' snack recipe for tourist whenever they plan to visit south canara or udupi. precisely the mitra samaj hotel of udupi near krishna mutt car street. bread medu vada are crispy fritters made with left over bread and rice flour and enjoyed with sambar or chutney especially coconut chutney. these can also be served along side idli as part of a perfect and complete south indian breakfast, but don’t let that stop you from enjoying these vadas for lunch or dinner. stuffed mirchi bajji recipe | stuffed menasinakai bajji | milagai bajji recipe with step by step photo and video recipe. an ideal spicy evening tea time snack prepared with green bullhorn chillies. the stuffing is prepared with boiled mashed potatoes and finely chopped onion and spiced by chaat masala and chilli powder. while, usually it is served as a snack, but it is also popularly served as a side dish or appetizer with main course meal. banana chips recipe | banana wafers recipe | kerala banana chips with step by step photo and video recipe. typically fried plantain chips are deep fried in coconut oil and the salt and turmeric water is poured on top of it while frying. however this simple recipe can also be baked in oven by sprinkling some salt on top the sliced banana's. however in this post, the traditional deep fried banana wafers recipe is explained. cocktail samosa recipe | party samosa recipe with samosa sheets with step by step photo and video recipe. traditionally samosa's are prepared by stuffing aloo and peas in a plain flour or maida based roti which is then deep fried to crisp. however this recipe is a unconventional and prepared with sheets or rolls and the folded into a cone or triangular shaped pockets which is then later deep fried. thenkuzhal murukku recipe | thenkuzhal recipe | how to make thenkuzhal murukku with step by step photo and video recipe. there are many popular and must savoury snack recipes which are mainly targeted during diwali season. in south india it is generally either murukku or khara sev recipe made with rice or urad dal. one such popular snack recipe from tamil cusine isthenkuzhal murukku recipe. katori chaat recipe | chaat katori recipe | how to make tokri chaat with step by step photo and video recipe. apart from being an ideal starter or appetizer recipe, it can be a favorite snack recipe for your kids. if you are planning for your kids, the katori's can also be baked as an alternative to make it even more healthy. but the deep fried's are more crisp and tasty and hence most popular. potato wedges recipe | deep fried & baked potato wedges with step by step photo and video recipe. wedges are often confused with potato fries which is generally thin and has different shape. potato wedges have more curvy in shape and has very distinct corners or in other words it can be termed as half moon shaped snack. having said that, it can be cut into waffle, crinkle or even curly shaped wedges too. boondi recipe | kara boondi recipe | how to make khara boondi with step by step photo and video recipe. while kara boondi recipe is extremely simple, but the consistency plays important role shaping the boondi pearls. it is recommended to check the consistency before deep frying by dropping few to hot oil. it should not be pointy or flat which means it is watery and requires more besan. corn pakoda recipe | sweet corn pakora | corn bhajiya recipe with step by step photo and video recipe. the recipe of sweet corn pakora is very similar to any other pakoda or fritters recipe. it follows the same besan and rice flour batter spiced with dry spice powders. later the corn kernels are dipped into batter and deep fried in small portions until crisp. veg spring rolls recipe | vegetarian spring rolls recipe with step by step photo and video recipe. spring roll recipe is an savory recipe from asian or mainland chinese cuisine. basically, spring roll wrapper is used to stuff the vegetables and then deep fried in oil. usually, shredded cabbages and carrots tossed with sauces are used as stuffing's. furthermore, it is usually served with sweet chilli sauce or even with tomato sauce. moreover, it tastes better when served hot. masala vada recipe | masala vadai | paruppu vadai | chattambade recipe with step by step photo and video recipe. masala vada, also known as chattambade or chana dal vada is a popular deep fried fritters from udupi and mangalore region. basically, it is prepared by grounding the soaked split chickpeas or bengal gram and black gram lentils coarsely and then spiced with chilies and other dry spices. the prepared batter is then deep fried till it is crisp golden in color which can be either served as snack or even as side dish. murmura recipe | spicy puffed rice | spicy murmura chivda with step by step photo and video recipe. puffed rice are generally used as side ingredients in many indian recipes like dosa batter, idli batter and other south indian breakfast recipes. however there are few recipes where murmura is used a hero ingredients. spicy murmura chivda is one such recipe which is an ideal and healthy evening snack enjoyed with a cup of masala tea. firstly, use edible silver foil (varq) for sweets to make it more rich. furthermore, make sure to use fresh ghee if you want to store for more days. also, use saffron food colour if you do not have saffron. 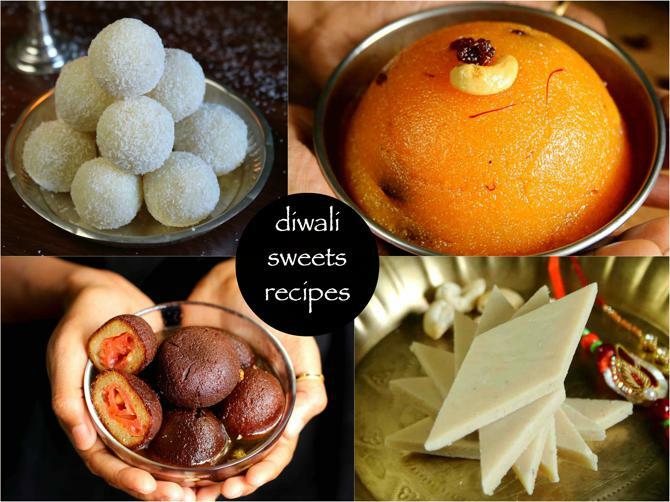 finally, with the diwali sweets recipes, adjust the sweetness to your choice and enjoy diwali. Your cakes are simple but wonderful. Keep it up!